It's unclear to me whether the meeting between Donald Trump Jr with a Russian lawyer last year, reportedly to trade "dirt" on Hillary Clinton, is actually newsworthy... or is just another baseless attack on the Trumps from the Left. My guess would be the latter. 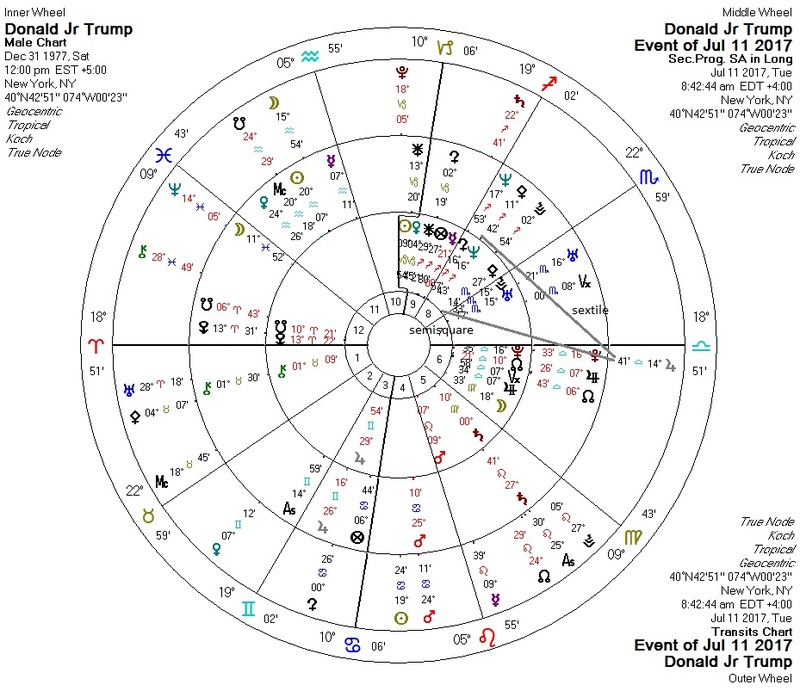 Nevertheless, today's astrology against Junior's chart is consistent (somewhat weakly) with that of ethics scandals -- transiting Jupiter is in aspect to both his natal and progressed Pallas.